I was trying to be funny, but it’s true, isn’t it? Lots of words and expressions don’t make sense on some level. I’ve always thought, for example, that a silent letter made no sense (Don’t letters exist to represent sounds?). But if you want to learn English, or at least enjoy it, you’ll have to embrace the senselessness. Some things are just the way they are, and the best thing to do is scratch your head, shrug your shoulders and move on. I put meaningless initials in the senseless category. An initial is, by definition, an abbreviation–the first letter of a name or word. Initials are handy. They speed up communication by eliminating syllables without losing meaning. They can be formed into acronyms too–handy words that carry the meaning of the full name: SCUBA, NASA, NAFTA, POTUS¹, etc. The S stands for nothing. His parents couldn’t decide on a middle name, so they chose just S as a way to honor both of his grandfathers (Solomon Young and Anderson Shippe Truman). There’s no need for the period after the S, but it became customary, even in Harry’s own signature. This actor’s middle name is actually Anderson, but there was already a Michael Fox in the Screen Actors Guild when he registered, and Michael A. Fox seemed too much a play on words. He chose the J in honor of actor Michael J. Pollard. Grant was born Hiram Ulysses Grant, but when he was nominated to West Point by Senator Thomas L. Hamer, the legislator mistakenly submitted his name as Ulysses S. Grant, assuming the S stood for Simpson — his mother’s maiden name. Grant went with the new name, insisting the S stood for nothing. He was nicknamed Sam at school–short for Uncle Sam, since his initials were now U.S. Grant. Joanne “Jo” Rowling (pronounced rolling, FYI) was encouraged by her publishers to go by initials rather than her given name, fearing a female author might dissuade teen boys from buying the book. She had no middle name, so she chose K in honor of her paternal grandmother. CBS originally stood for Columbia Broadcasting Company, but in 1974, they dropped the full name and registered as simply CBS, Inc. In 2010, NPR decided, like CBS, its initials had become so iconic that they could stand alone. They dropped their former name, National Public Radio, and became simply NPR. PNC was originally Pittsburgh National Corporation, but after it expanded, it decided that name made it sound too regional, so they became just PNC. This is actually quite a common trend in business. Many modern corporations go by initials that either no longer stand or never stood for anything. Some examples include CVS, AT&T, 3M, GEICO, and ING. 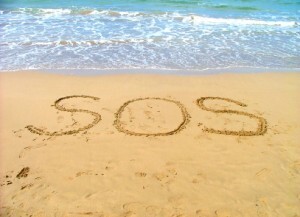 Although many believe SOS stands for Save Our Ship or some similar message, this well-known distress signal is actually not an abbreviation. It’s simply a series of dots and dashes in Morse Code that resemble the letters SOS, but which, by custom, are recognized as a call for help. This university was once known as the Agricultural and Mechanical College of Texas, but in 1963, the state decided to reflect its expanded course offerings while keeping ties to its history by shortening the name to Texas A&M University. The A and M no longer stand for anything. No, Wi-Fi does not stand for “Wireless Fidelity.” It’s not an acronym at all. It was created by an advertising agency as a play on the word Hi-Fi, and the term “wireless fidelity” was used in early advertising campaigns, but it was never intended as an abbreviation. Malcolm X was born Malcolm Little and changed his name to Malcolm X to signify his rejection of his given “slave name” and in honor of his unknown original African name. It is therefore a symbol, but not an abbreviation. Originally, SAT stood for Scholastic Aptitude Test. People didn’t like that name, so the College Board changed it to the Scholastic Assessment Test. They still got lots of complaints, so they decided it doesn’t stand for anything. Now it’s just the SAT . Comments make bloggers happy. If you’d like to make me happy, leave yours below. I have been envious of people who have the ability to use words few words and convey vast meaning. It takes me paragraphs to explain what I wish to say. Growing up I went to school that had every seat filled This was fifty children which meant our teachers must have talent and abilities. No computers to aid and save time in correcting papers. the red marker was used without concern of “offending” anyone. Because My parents were ignorant on proper English they couldn’t aid in my efforts that were not as dedicated as they could have been. I pay for this now because people who read my posts suffer from trying convey my true thoughts. for my poor efforts I apologize and thank everyone for their patience shown this old Grampa. So, if SAT no longer means Scholastic Aptitute Test, I suppose PSAT no longer means Preliminary Scholastic Aptitute Test but only the Preliminary SAT. I always wondered what Texax A&M meant. Thanks for this informative blog. I didn’t realize so many initials/abbreviations did not stand for anything.